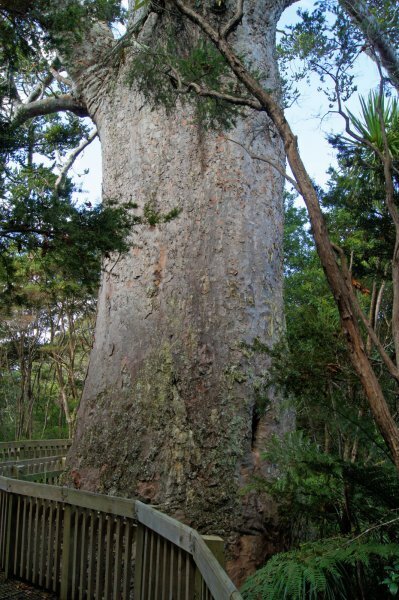 Named Tane Moana in 2008, this tree is described as the largest remaining kauri on the east coast of Northland, with a girth of 11 m. This may be true if the Hori Wehi Wehi tree in Russell Forest, reported in 1945 to have a 45 ft (13.7 m) girth, and described by Halkett and Sale as half dead with considerable rot in 1986 has succumbed since then. 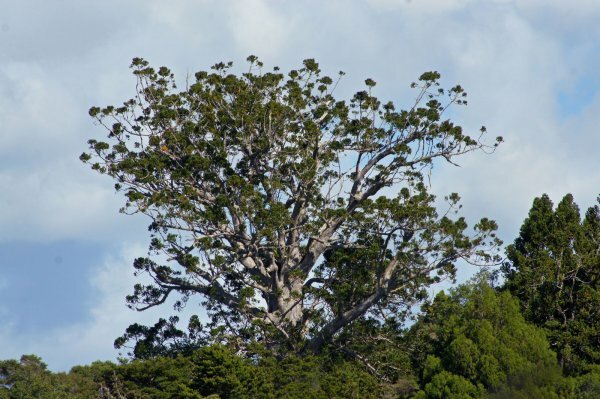 The tree is sited in a small Department of Conservation reserve in the hills behind Tutukaka, the renowned scuba diving destination east of Whangarei. Just off a section of the Te Araroa Walkway, between Clements Road and Waitoi Road, the tree is a survivor of the modification in the surrounding land, from native forest to plantation forestry. The form of the tree may explain its survival: A short (6.8 m) tapering oval bole with two large open scars, the tree would have been considered a high effort, but low yield timber source. The tree was not directly wrapped for girth, and provides a challenge to measure the tree without straying from the viewing platform. Doak reported a taped measurement of 11.16 m (equivalent diameter 3.6 m) at 1 m above ground level in 2010. This measurement likely includes a large basal swelling at that height. Digital image analysis reveals an apparent diameter at 1.8 m above ground (the height of the surrounding fence rail) of 3.8 m in one direction, but only 2.5 m in the perpendicular direction, for an average diameter of 3.15 m, or a nominal girth of 9.9 m at 1.8 m.
The best feature of the tree is the crown, emerging above the regenerating bush. With some dead wood, it does show the age of the tree, but it is an impressive structure nonetheless. Northern Advocate, accessed May 2016. Tane Moana Walkway, accessed May 2016. Auckland Star, 8 June 1945. Halkett & Sale, The World of the Kauri, 1986. Old kauri, with some weeping of gum and dead wood in crown. A short, scarred, tapering oval bole. 22 Apr 2016 Smillie, M.J.
Just off the Te Araroa Walkway section between Matapouri and Ngunguru. From the Waiotoi Road end, follow orange markers across a paddock, to a track through a pine plantation that widens into a forestry road (Oyster Track). Keeping left at one fork, the road enters the Tutukaka Forest Conservation Area. The signposted short 30 m spur track to the tree is about 45 minutes walk from the start. Walking for a further 10 minutes as the track loops around to the east gives a view, between recently planted pines and toetoe, of the tree emerging from the surrounding bush. It is very important that footwear is clean and disinfected and to keep to the walking track at all times. Kauri have very sensitive surface roots, and foot traffic around the trees endangers their life span and may potentially spread the PTA disease that is threatening them.